Recently, one of my most favorite people in the world, Rosey, just got engaged to another really good friend of mine. I am so excited for them, they are super happy and in love and quite honestly I am really looking forward to this wedding, but something funny happened once she started wearing her engagement ring. The thing you need to know about my recently engaged BFF is that prior to the engagement she wore a ton of rings. I mean like a handful, rings on every finger with no formal plan, super gangsta. 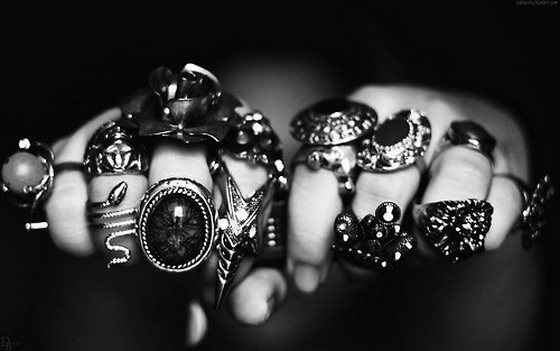 Seriously though she wore lots and lots of rings. But once she started wearing her engagement ring on the daily, she completely stopped wearing any other ring. The rings she had just didn’t work well with her new new shiny left hand bling. It was such a stark contrast to her formally very busy hands that I totally made a comment about it when we went to brunch a few weekends ago. 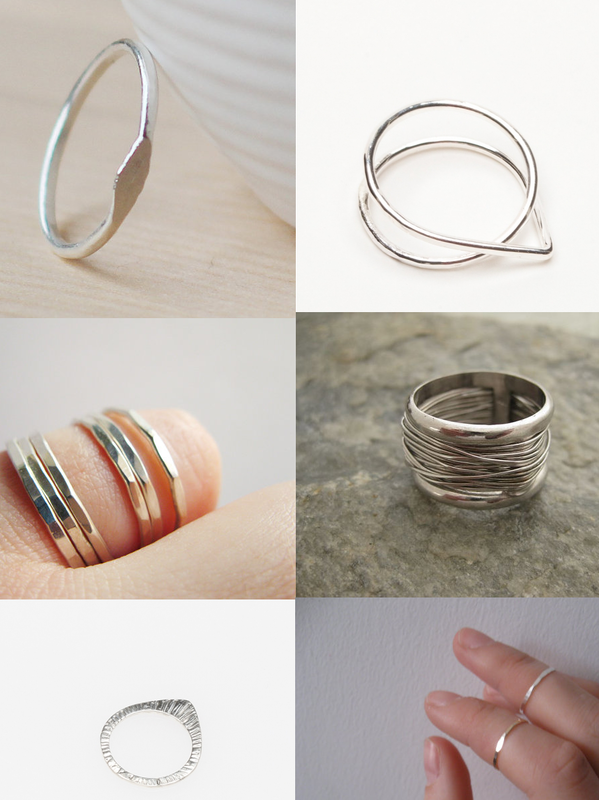 As I often find myself doing for many of my friends, I volunteered to do some internet sleuthing on the topic of simple and grown up rings. 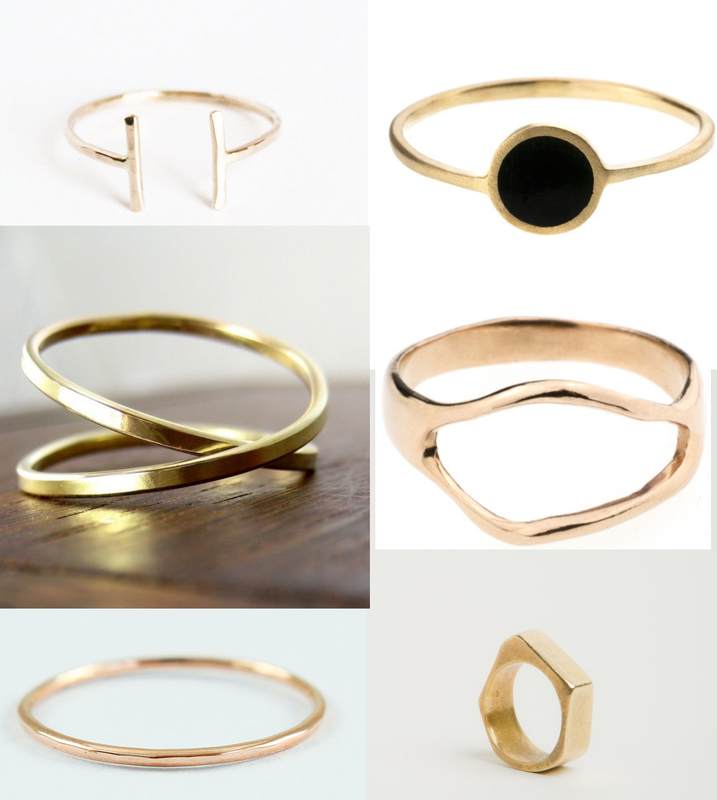 I was initially just going to email her links but I realized she is probably not the only newly engaged lady to have this particular problem and she started bugging me to start this research project, so continue reading after the jump for a roundup of pretty little silver and gold rings.